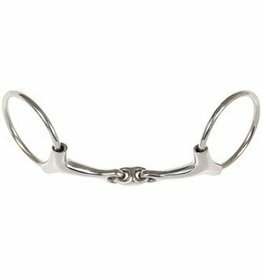 Snaffle which combines the agility of the snaffle with the firmness of the bust yarn. The bit is relatively quiet in the mouth without lips clamped unnecessarily. Mouthpiece 14mm and stainless steel rings 55mm.